The manufacturing of American retailers’ products often occurs overseas, but this is changing. Small retailers, specialty shops, and artisans are responding to consumer demand for products that minimize social and environmental impact by bringing production and making in local communities back to the United States. 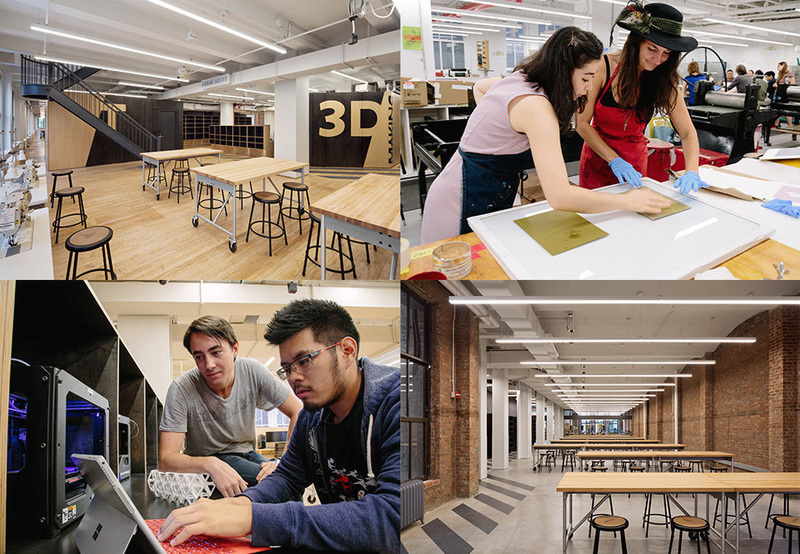 Parsons School of Design is at the forefront of education on this topic with the opening of its Making Center, a 35,000-square-foot space offering rich opportunities that focus on teaching the skills to create and make in New York. Through her strategic vision and generous gift of $7 million to support the project, Kay Unger, a Parsons alumna, fashion designer, chair of the Parsons Board of Governors, and Trustee of The New School, is helping support the next generation of designers learn the skills necessary to create and produce in local and sustainable ways. Opening this fall, the Making Center will feature a vast array of equipment and resources, including 3D technology and sustainable fabrics, as well as traditional tools and machinery. Cutting-edge textile machines will allow students to design and prototype projects ranging from fashion and fine art to media technology, architecture, and interiors, all with a dedication to sustainability and a focus on creating ecofriendly products. “The Making Center will provide a platform for students to create socially relevant and environmentally responsible products that will change the way we interact with the world through design,” said Unger. Housed across two floors in the Sheila C. Johnson Design Center, the space underscores The New School’s commitment to cross-disciplinary collaboration. Students from all the university’s schools will have access to the space, where they can work together on a variety of interdisciplinary projects. Unger’s gift highlights her long-standing commitment to Parsons and The New School. As the chair of the Board of Governors at Parsons, Unger has been a dedicated mentor, spearheading programs including Parsons Scholars and serving as the co-chair of the annual Parsons Benefit. Unger’s gift marks the second $7 million donation to The New School in 2016. Henry Arnhold donated $7 million to The New School’s Zolberg Institute on Migration and Mobility, part of The New School for Social Research. Arnhold has served as a member of The New School’s Board of Trustees since 1985 and has been a member of the New School for Social Research Board of Governors since 1994.